Welcome to the City of Mississauga's information page about our government relations and advocacy efforts with the provincial and federal governments, along with the Region of Peel and other external organizations. Throughout these pages, you will find more information about the policy positions that your City Councillors are advocating for - with the goal of making Mississauga an even better place to raise a family, earn an education, find a good-paying job, and start a business. Our city-building agenda includes creating an extensive regionally-integrated public transit network, with city-wide initiatives like the Hurontario LRT; new efforts to attract investment and generate local economic development opportunities; and ensuring Mississauga residents enjoy an unrivalled quality of life. 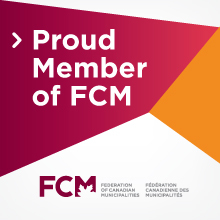 Council works together with organizations like the Federation of Canadian Municipalities (FCM) and the Association of Municipalities of Ontario (AMO) - which bring together municipal leader leaders to shape the agendas of both the provincial and federal governments. I encourage you to check back regularly as we update these pages with ongoing news, events, and information about Council's efforts. As our country's sixth largest city, when we work together to advance Mississauga's priorities, all of Ontario and Canada are better positioned for growth, opportunity, and success.